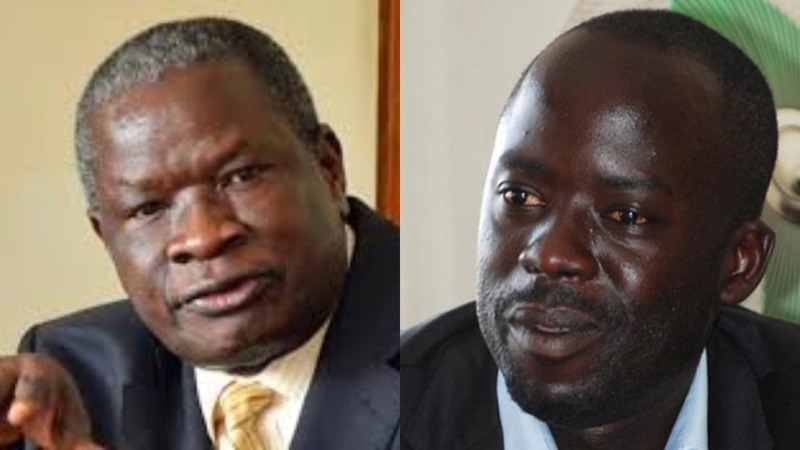 KAMPALA – MPs from Lango sub-region have lashed out at the government castigating it on the manner in which journalists working with Unity FM, a local radio station in Lira were handled by security agencies in the aftermath of the chaos that rocked the region last week. Addressing journalists at Parliament on Thursday morning, MPs representing the people of Lango led by group chairperson Jonathan Odur of Erute County South MP condemned the brutal arrest and handling of the station works. MrOdonga Otto of Aruu County MP said the Media freedom is being tampered with and this was portrayed by the clampdown of Unity FM. “Do not kill the messenger because he is bringing bad news,” MP Otto said. Otto also attacked government of meddling lies also rubbishing a statement presented by state minister of internal affairs Kania Obiga. Mr Obiga in a statement to parliament on Tuesday said the station was closed for inciting violence. “We have for long been known as peaceful people. We have co-existed with so many people. These Asians even live deep in our villages and we have never attacked them,” said Santa Alum (Oyam Woman MP). Alum who is also the vice chairperson of the Lango group, said the way the government is handling the matter ‘is not satisfied with such a serious matter’. These said that what is happening in Lango is not good and that government is treating them as if they are secondary citizens. “We are disappointed by the impunity of these Asians. Government should tell us why the laws of this country are applied selectively,” said Odur. Following the fracas, the government dispatched Uganda People’s Defense Forces (UPDF) to calm the situation after police got overwhelmed by the rowdy locals involved in attacks against Asian traders in the region. Residents claim that two men of Asian descent operating in Lira strangled Dickens Okello a pupil of Alito Primary School in Kole District on November 9 to death and accused police of trying to covering up the crime, sparking rage among the locals who then decided to riot. During the violent protest, shops were looted and goods stolen as tear gas and live bullets were fired to contain the rowdy locals. These were later released on police bond but the radio station remains closed as investigations are still ongoing.